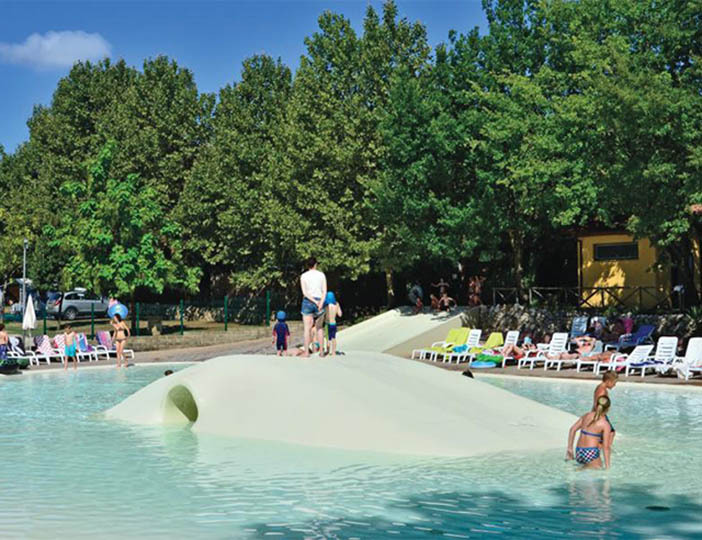 This friendly parc is ideal for families of all ages, thanks to a superb animation programme, not to mention the choice of a swimming pool or new lagoon pool. There are also daily coach trips to Rome, plus trips to Pompei, all organised by the parc's very friendly English speaking owners, making this the ideal way to discover the Eternal City. You can also explore the woodland that surrounds the parc and after a busy day, retire to the friendly restaurant. 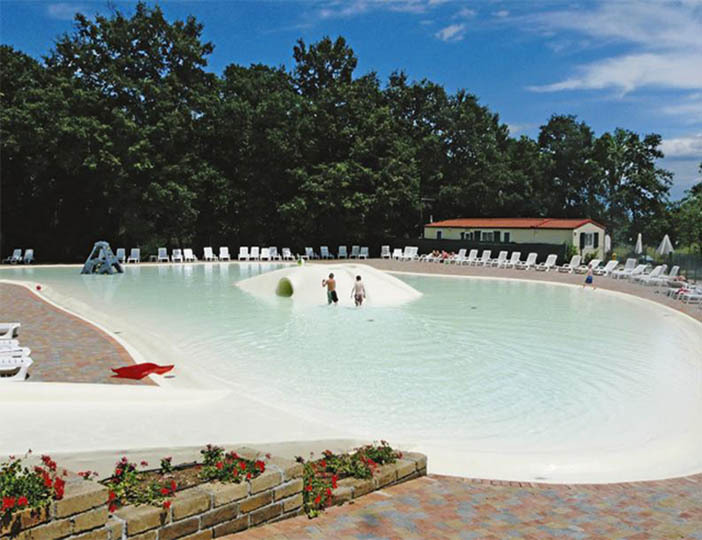 Family Park I Pini is an ideal, family-friendly destination for all those wishing to discover Rome, Pompei, Lake Bracciano and the lovely area around it. The owners will even organize airport transfers, should you prefer to leave the car at home. 2 Outdoor Pools: Size: 150m sq, depth: 1.20m min.- 1.20m max., jacuzzi / Size: 200m sq, depth: 0.40m min.- 0.50m max., 1 waterslide(s), Waterslide is built into the side of the pool and is wide enough for 3 people, water castle, slide, fountains. POOL REGULATIONS AND EXTRAS: Sun loungers available, sun terrace next to pool area. Large assortment of shops, restaurant, pizzeria, take-away meals, bar, 6 washing machines*, 2 clothes dryers*, hot water showers, washing cubicles (warm water), haby bath and changing facilities, standard toilets, children's toilets, sinks available for dish washing and clothes washing, ironing facilities. RECEPTION: Fax, phone, phone cards, tourist information, babysitting on request (please ask reception staff for details), internet access available, languages spoken: Italian, German, Dutch, English, French. 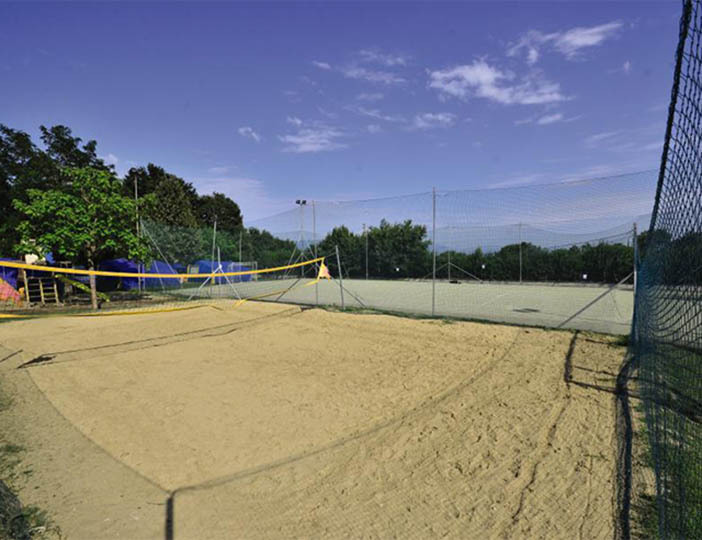 Via Delle Sassette, 1/a, FIANO ROMANO, Italy, 00065 Rome Fiumicino and Rome Ciampino airports are close to this parc and are popular choices for fly-drive holidays.